Who wouldn't love an interactive birthday cake featuring a gorgeous underwater world? 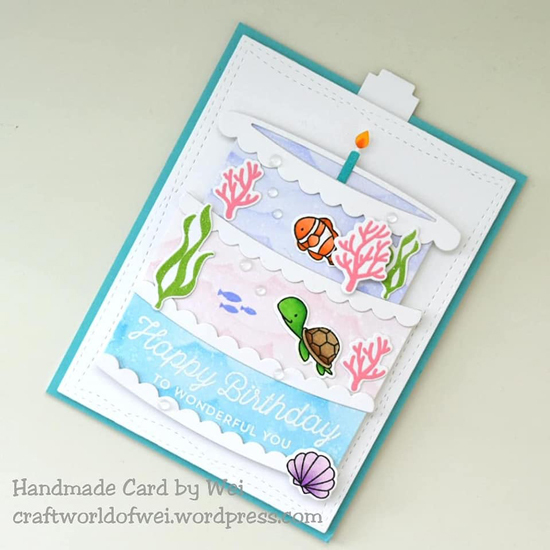 We love Wei's creative take on this birthday-themed card featuring ocean friends from the Mermazing stamp set both on the outside and hidden on the inside of her three-tiered cake. Emma created a bold card design by adding a gorgeous red grid background before creating her interactive spinner element. Her images are beautifully colored and we love the how she modified the sentiment to work for the recipient of the card. 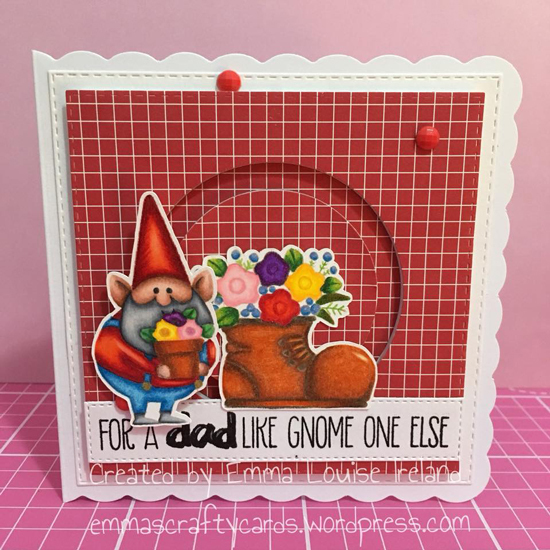 Sindu created a lovely brick background panel that produced two card designs with a little bit of die cutting. Adding the sentiment strip across the circle opening as well as the circle of bricks helped her images stand out and worked as a great backdrop for her sweet characters. 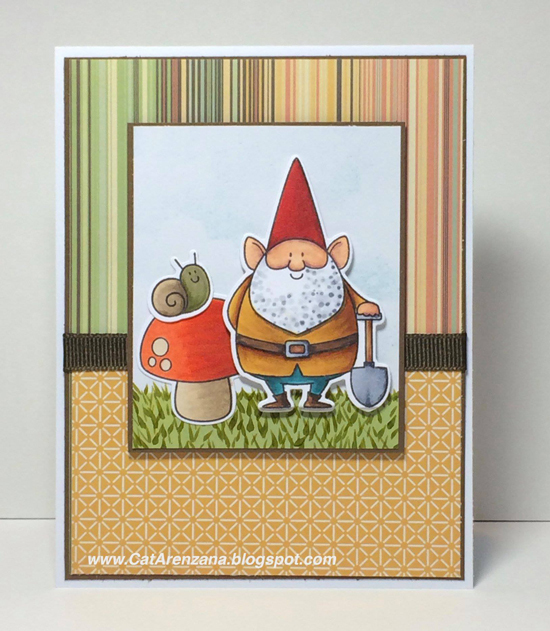 We love the background Cathy created behind her charming gnome. The gorgeous earth-toned colors perfectly complement her images and the addition of the ribbon border adds wonderful texture and dimension. 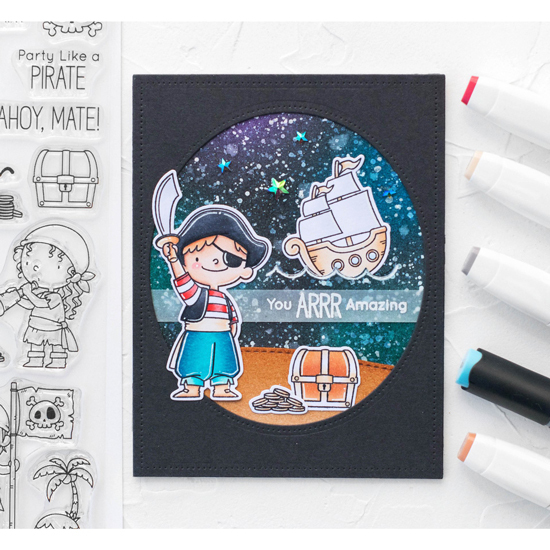 Natalia created an amazing galaxy background behind her pirate images and we love the final result! Using the oval to frame the scene really highlights the design and gorgeous colors. Thank you so much!! 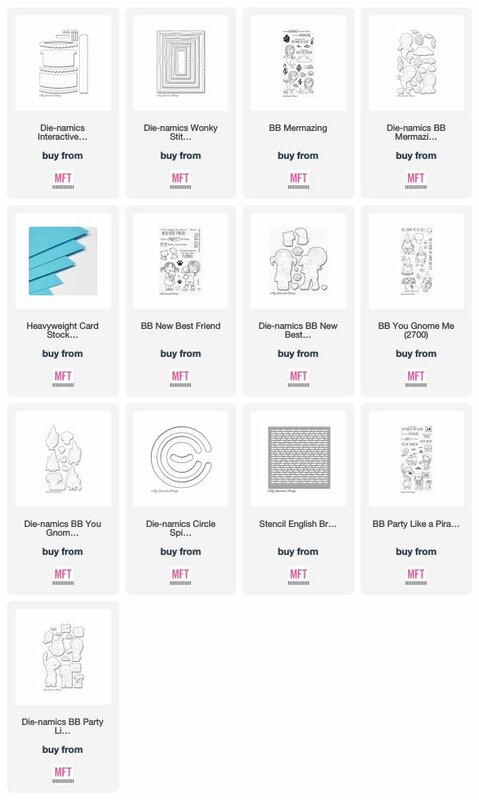 So honoured to see my cards here... Congrats, everyone! Oh my! Thank you! What a wonderful surprise to see my card here. :D Congrats to all! Thank you so much! I am thrilled to be spotted.